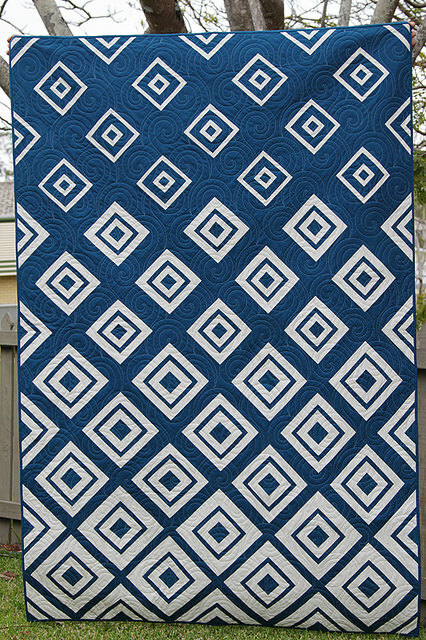 Ocean blues, and a subtly changing block come together beautifully in this “Diamonds in the Deep” quilt by Bonjour Quilts. Is it blue on a white background? Is it white on a blue background? Who cares with such a stunning, clean quilt. You could easily change up the colors for a different look. Check out all the details on the Diamonds in the Deep Quilt.